This is a list of shared hosting companies that support Let’s Encrypt in April of 2019 — the revolutionary certificate authority that has paved the future of secure SSL hosting. It’s here to stay and it’s totally free. This is a growing list of companies with affordable, shared hosting plans that support free “Let’s Encrypt” SSL certificates (also known as LetsEncrypt). Get your WordPress blog, or website of any kind secured in a matter of minutes! Providing ‘quality-crafted hosting‘ services — SiteGround has often been considered as a front runner of feature rich hosting. Naturally, they were quick to jump on the free SSL ride and have supported Let’s Encrypt right from phase beta. Server locations: Chicago (US), London (UK), Amsterdam (NL) & Singapore. Starting specs: One website, 10GB web space, unlimited bandwidth. As Hristo Pandjarov, an expert from the early years of SiteGround responded to surprised comments during launch about sacrificing their revenue — “we really belive in this initiative and we’re glad our customers appreciate it“. And that’s just the kind of forward thinking attitude that gets my support. Look for the ‘Let’s Encrypt’ tool in the security tab of your cPanel. Enter domain, email address and hit ‘install’ and you are good to go. Great for WordPress. This feature rich and highly reviewed host is an example of how low-cost hosting can be tough competition, offering all necessary tools for website security. Server locations: Chicago (USA), Dallas (USA), London (UK), Frankfurt (Germany), Amsterdam (Netherlands), Singapore, Tokyo (Japan). Starting specs: Free lifetime domain, 15GB SSD, unlimited bandwidth. Read everything about launching your site on HTTPS with FastComet here. They are using the common cPanel add-on for easy, automatic certificate management. An old host with a massive user base, they excel in handling scale. As vice president Brett Dunst put it, they took a massive — “hit on the chin in lost certificate sales” by becoming the first major hosting company to support Let’s Encrypt. Starting specs: Unlimited domains, storage & bandwidth. The outspoken team has come out saying that these free certificates are just as safe as commercial ones, and that customers can choose to pay if they still want to. As they are making the web safer, they continue to increase their fan base. They have their own ‘secure hosting section’ in the DreamHost control panel, there you can add easily a free security certificate to your domain. Hawkhost came in slightly later to the scene to offer free SSL and increased it’s image as a low-cost and solid shared host. Starting specs: 10Gb space, unlimited domains & bandwidth. They are also using the quick ‘Let’s Encrypt’ interface on cPanel that handles everything. And their memcached servers will make WordPress run smoother for cheep. The geeky host which is actually one of the easiest to use — supported Let’s Encrypt from January of 2016. It’s all run through cPanel that most people are comfortable with, super simple install and automatic certification renewals. Starting from: 2.95/month (that’s a 3 year plan). Starting specs: Two websites, 10GB SSD, 500GB/month bandwidth. Host4Geeks has a slick interface and minimal learning curve – kill two Google ranking factors with one stone: fast page loads and SSL encryption (free). The friendly hosting company long instructed it’s VPS users to secure their sites for free. And now supports all plans including their shared environments. Server locations: Michigan (USA), Amsterdam (Europe), Singapore (Asia). Starting specs: 1 website, 5 databases, unlimited storage/bandwidth, SSD. Known for transparent and straight forward services — the company’s Linux Support Analytics, Chak Akers said “Free, or paid SSL, as long as we’re able to provide hosting services, we’ll be happy!“. Please note! The Let’s Encrypt cPanel plugin is disabled by default — simply contact A2 Hosting support to have it enabled and you are good to go! A newer company that has gathered a following with outstanding performance on basic shared hosting. They provide capable and punctual 24h support. They commented: Let’s Encrypt is a great project that we wanted to support. Offering free SSL’s is a no-brainer. It’s a value add that we can offer …, but also work towards helping securing the web one website at a time. Note: For the time being you will need to contact them to enabled the certificate. The company famed for blazing fast WordPress hosting, ‘WP Engine‘ introduced it’s contribution to make HTTPS ubiquitous on October, 2016. Founder Jason Cohen commented, that “internet today isn’t the same as it was five years ago”, and that this is a “win for everyone”. Bringing greater security to visitors as well as better speeds, and SEO benefits for website owners. Install is a click away in their ‘WP Engine User Portal‘ where you can easily add the Let’s Encrypt certificate to a hosted site. Delivering reliable managed hosting for WordPress, Pressidium gained momentum as security professionals since 2014. 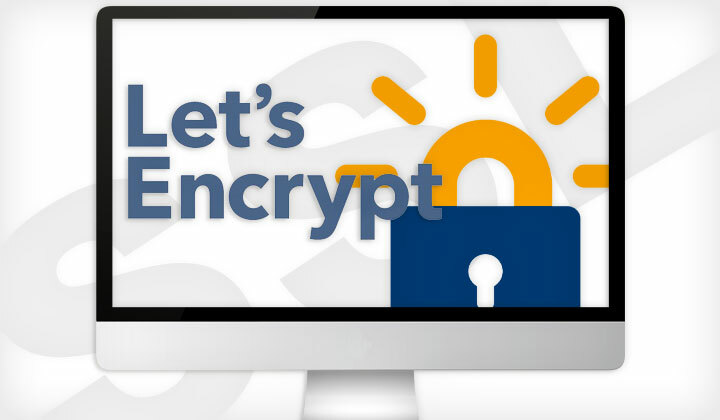 Supporting Let’s Encrypt from November 2016. Certificate generation and install has beeen made a piece of cake from the comforts of the Pressidium Portal. The letsencrypt cert will automatically re-new itself of course. You can find out more from this link. Companies to look out for! Now supported by all plans in 2019! While the technology has been embraced by many, one restrain is a lack of support by web hosting. One reason is a dependency on value added ‘up-selling’ — of which expensive SSL certificates and dedicated IP add-ons are an important part. But inevitable change is on it’s way and there are many major players providing easy and unlimited SSL certification for their customers. With ready to go support for cPanel used by most shared hosting plans — all we need is more companies to flip the switch and bring free encryption to everyone under a few clicks. Please note: All listed companies have been tested first. Know more supported hosting? If so, you are welcome to get in touch. However, I cannot guarantee a listing and it will need to be tested first. Questions about LetsEncrypt and free SSL certs with web hosting? Let us know in the comments! Thanks, Tim. Links: Some of the links on this page are affiliate links which I can receive commission for if purchases are made through them. Namely I have an affiliate agreement with WP Engine but I assure you it doesn’t affect my opinion. A humble thank you. Thank you for pointing that out to me Daniel. Still in the process of tuning this list 🙂 — that was suppose to be ‘domains‘ not storage. Is brilliant.. letsencrypt really is a no-brainer and I for one as a security enthusiast and privacy freak will be applying it throughout all my sites. Cheers mate. Big thanks for the tip Danny. I had a chance to have a look at the install process and it works great so I added it to the list. Nice list! I would just like to add one more hosting company, that i know about, which gives its clients free Let’s Encrypt SSL certificates – it’s called BGOcloud. a2 hosting looked like the best deal to me. unlimited storage, cpanel support (they also have plesk which is on windows), w/ letsencrypt. Also one of my favorites. I had not realized they have plesk support too. Thank you for pointing that out to us.